The recommendation might have different approaches. If it is action, the argument should focus on Logos because logic is important when trying to minimize the path of inquiry. In this manner, the reader will be invited to follow a chain of reasonable thoughts, hopefully converging with the ones supported by the author or researcher. If it is a line of inquiry, knowledge of the situation must be mixed with doubts upon the same, conducing the audience to question the presented argument. With my introduction I wish to catch enough attention to the remaining of my project. I believe I can achieve such result because I am strong about my subject, therefore, I have to be able to transport that state of mind to my audience. My audience should understand the Kairos exigency of the problem and the reason I am so interested in conquering its attention, hoping to disseminate the need for a stronger position on the subject. The accomplishment is, of course, difficult, but, using the right ideas will allow the integration of the reader into the context. I have to discover ways to be able to catch the attention and maintain it during the entire project. Because it is a multimodal project, the use of those elements will reinforce the overall direction of it. Those elements must have ethos and logos components, so the credibility is settled from the beginning. ​I find myself thinking exactly about “the whole is greater than the parts.” Although I was not completely ignorant about research, now the picture has changed as I have discovered details that I would not, otherwise. Acquiring several sources of views is definitely an interesting manner of conducting a mind revolution which may open other paths to interpret a given issue. I was one of those people that believed that writing well was a talent. Well, not anymore, if I consider the modular approach. In my view is an appealing way of writing and a challenge for the end that the researcher wants to achieve. Sometimes it can be compared to a puzzle, tying together different approaches and ideas. However, I must add that I still find that a certain quantity of talent is needed when writing other genres, because the author has to find ways through his words, to express ideas that work in the minds of the readers. Along the same frame of thought of Dr. Garrett James Hardin (OVERPOPULATION AND CARRYING CAPACITY), actress Alexandra Paul gave a TED Talk back in 2003. She thinks she has found a way to minimize the effects of an exponential growth of human population, by persuading people to have smaller families. According to her, we are adding 220.000 people per day to the planet and about 1 billion every 12 years. This TED Talk was filled with other facts relevant to the issue. Alexandra visualizes the solution to this galloping issue, on the sensitization of people to have smaller families and she had chosen not to have any children, which is consistent with her thoughts. I appreciate her effort in passing her message that the world needs the cooperation of all to achieve the proposed results. On the other hand, her honest appreciated effort, needs to observe other options which may pretty well be the education of the population, especially in countries where the birth rate is higher than two or even three children per couple, as is the case of several countries like Africa (between four and seven children per woman). According to the The World FactBook (CIA), 2015 estimates. Nonetheless, this cry for awareness, and not only from Alexandra, has, so far as met with some international apathy by the optimistic approach that believes the planet and its tenants are capable of finding the proper solution if need be. I have chosen this TED Talk by Alexandra Paul, because I understand that my research must have statements of different sectors of the community, therefore, with diverse angles of approach to the same issue. Finally, I believe that Alexandra is a good addition to my project because she comes across as a person who, quite clearly, understands the status quo of the planet when the theme is overpopulation. ​Hardin, Garret James. Interview with Nancy Pearlman. 1990. The reason I have chosen this interview with Dr. Hardin was because the ideas he had expressed are in accordance with my own. His understanding of the problem starts when he says that “if the population suddenly decrease by, say, 10 percent, many things will immediately be much better.” Because of the fact that the planet has already too many people, Dr. Hardin adds that the major social crises are made worse by the excess population, and that is exactly what I think the problem resides. The message for people to control such situation is, of course, having less children per couple. Clearly explains that this is a situation with little importance to most governments. As to its credit, I believe his CV (http://www.garretthardinsociety.org/gh/gh_cv.html) enlightens very well his achievements and the authority to speak about the subject of overpopulation. The food for all, according to him, is not the problem right now. Energy is. This point I will agree with him, but, if we think for a moment in terms of future, if Earth will continue to raise its population numbers as it appears to be the tendency, then I would say we will have to face this problem on the long run. The interviewee argues that the world would be better off with less number of people, unless we stop consuming more energy than we suppose. This would certainly accommodate a bigger carrying capacity of the planet: The higher the quality of living, the lower the carrying capacity. By using this explanation, the author is using logos to pass the message that it is important to lower our actual habits of consumption. He is directing his speech to the audition of the program where he was interviewed. Therefore, the rhetoric is appropriate because the terms are very easy to understand by the general public. It is a good source because of all the knowledge the author has on the subject because I find it very difficult to disagree with its arguments. I might use this interview in my research project because it has the central idea that can contribute to the overall conclusion of my work. ​A clear understanding of sources and their situation is now embracing the way I have confronted them in the past. Not only am I using the analysis of credibility, but also the rhetorical aspect of the chosen source. Although I cannot say I have changed, in a profound manner, the way I think about texts, I must state that I have gained a more accurate vision of context and purpose. This, in turn, help me having a better method to achieve results when researching. On the other hand, the idea of leaving the context in a form of suspense, that is, without a forced conclusion on the part of the writer, is a valuable idea because invites the reader to draw its own conclusions and, perhaps, contribute to the solution of a given issue. 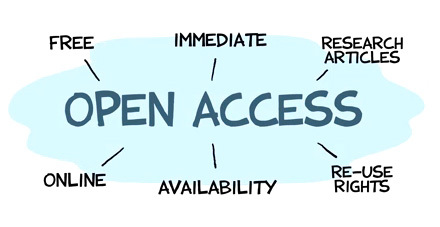 After going through the options presented by the “Open Access Research Resources” of the present course, I have found that at least these three sources I would be choosing are: CORE, Digital Public Library of America (DPLA) and Directory of Open Access Journals (DOAJ). In a first consult of these sites I found several works that I consider appropriate to my work, due to its approach to the ideas I have and believe. Moreover, these sites present different views on the subject, which is important for the analysis of the problem, calling for the involvement of the reader into the result I am trying to accomplish. My use of the information and knowledge acquired will require my critical thinking while consulting the chosen documents for my project. My CRQ will require Scholarly articles in newspapers, magazines or books that analyze and evaluate original or primary sources. 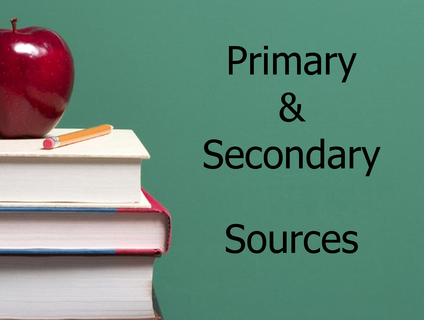 Scholarly sources can be found online through the several examples given by the “Open Access Research Resources” in this course. As to the remaining information fonts, those can be found online also, providing there is information on the publication that allows judgement for accuracy and to be appropriate for the matter I am working on. Being carefully analyzed, I believe these sources to be useful for the message I have in mind. That is, a tentative call for action on a subject that is of the paramount importance. ​My research will use interviews, official documents and essays or declarations of prominent figures which I believe my topic requires. Part of the process to gather the information I need, can be done online. I have confidence that these primary sources of information will give the confidence I need to go through with my project. With this type of sources I minimise the risk of misinformation on the subject, and build a more reliable and persuasive work. Also, it will build the trust of the reader, due to these solid bases which can be used for the analysis of the claims and arguments along the way.